Collections and Creditors' Rights; Wills; Estate Planning; Guardianships and Conservatorships; Estate and Probate Administration; Adoptions; Business Law; Wrongful Death and Catastrophic Injury; Real Estate Litigation. 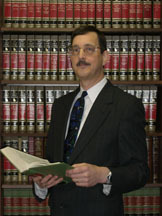 Our attorneys have been providing legal services since 1976. We focus on providing experienced, aggressive and efficient representation. Our primary fields are collections, creditor rights, estate planning, probate, guardianships and conservatorships (minor and adult), adoptions, and personal injury law. We handle trials and appeals. We help our clients resolve cases using alternative forms of dispute resolution whenever possible. 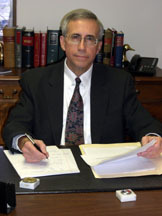 For over 30 years, Allen Hirons and Wayne Krause have helped the people of Marietta, north Georgia and the Atlanta metro area with a wide variety of legal problems. We provide estate planning advice, draft wills, powers of attorney, trusts and similar documents. We also represent clients facing post-death estate and probate administration. Addressing the needs of families, we assist with adoptions and guardianships for both children and incapacitated adults. With years of experience in business litigation, we help people and businesses collect debts owed to them. We can also help businesses facing litigation issues and financial stress. We also represent clients whose relatives have been killed through the negligence of others and people who have suffered catastrophic injuries. We're Focused on Your Legal Needs: We use our skills and substantial experience in the following areas of law: Estate planning We help clients preparing for the distribution of assets that come at the end of life. We identify and use the appropriate estate planning tools and documents needed to implement your wishes regarding finance and quality of life issues, including wills, trusts, powers of attorney, guardianships, health care directives, life insurance and retirement benefits. Trusts Minimize estate taxes and manage funds for specific needs with a trust. We will help you choose the right trusts for your family. Guardianships and conservatorships We assist people with obtaining guardianships and conservatorships for incapacitated adults and minor children. Powers of attorney and health care directives Who will make financial and health care decisions on your behalf when you are unable? Name your financial and health care agents today. Probate and estate administration We help estate administration clients successfully navigate a complex probate process. Collections We have extensive experience helping businesses and individuals collect on a full range of debts, including unpaid bills, consumer credit and liens. Commercial collections Our law firm represents companies of all sizes in business-to-business collection actions. Business litigation From breach of contract to fraud and misappropriation, we can represent your business in disputes and litigation. Wrongful death and catastrophic injury We vigorously, effectively represent clients who have suffered devastating injuries in car accidents and other accidents due to someone else's negligence. We also provide effective representation for families of loved ones lost in wrongful death cases. Adoptions We help families with the complex procedures for adoptions. We provide assistance to stepparents, grandparents and others. Emory University School of Law Activities- Member: Moot Court Society; National Mock Trial Team; International Law Society;Phi Delta Phi, Lamar Inn. Member, Cobb County Board of Elections and Registration, 1985-1989; State Court Judge, Pro Hac Vice, 1986.; Member, Marietta City Council, 1990-1994 and Mayor Pro Tem, 1991; President, Cobb County Youth Museum, 1993-1994. Cobb County Bar Association; State Bar of Georgia. Phi Alpha Theta; Phi Gamma Mu; Phi Eta Sigma. Treasurer, International Law Society, Emory University, 1975-1976. Cobb Bar Association; State Bar of Georgia.